Everyone loves vacations, but the reality is that not everyone can afford to travel every few months. Even trips to nearby destinations like Hong Kong and Bangkok will set you back a few hundred bucks. If you're itching to give your mind and body a break from work but don't have the budget for it, why not consider a staycation? It'll look good on Instagram, too! 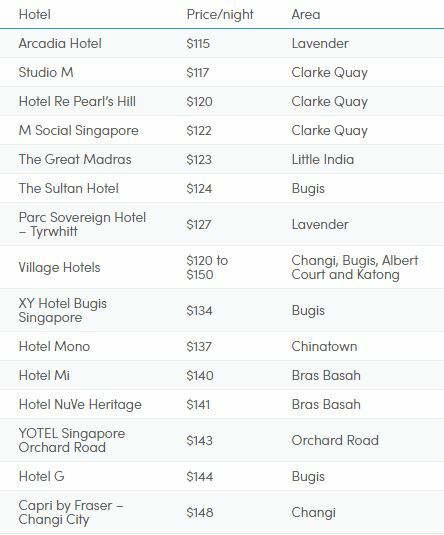 Arcadia Hotel is the cheapest in this list, and is really a no-frills hotel with basic amenities. It's about $115 for a Superior Queen room that's quite small at 12sqm, but comes stocked with luxurious L'Occitane toiletries and a designer Sealy PosturePedic mattress. Also, there is a rooftop jacuzzi upstairs - perfect for couples who want to sleep in and rest all day. Studio M's rooms look like the cosy homes I imagine the hip (and elite) millennials of Singapore live in. 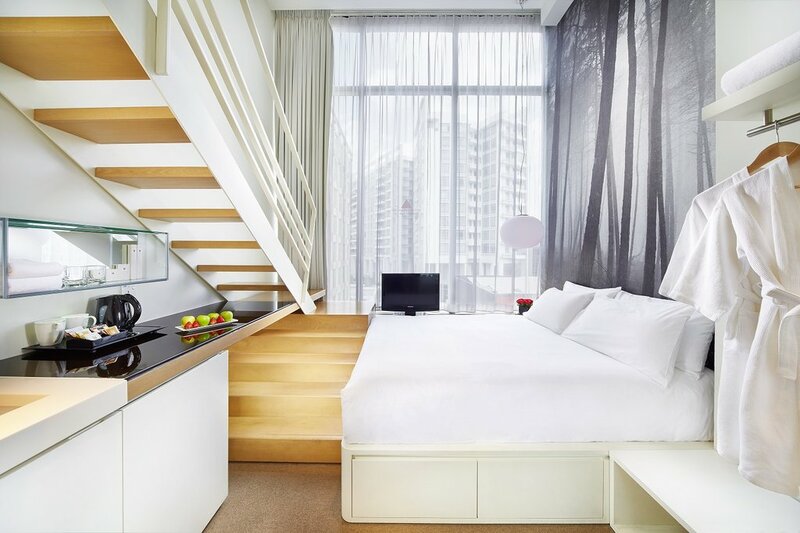 Their rooms are inspired by lofts, and feature high ceilings with a mezzanine floor. It's super spacious at 22sqm, justifying its $117 price. Guests also have access to 2 pools and an open-air gym. This is great for couples celebrating anniversaries or birthdays - you can have a fancy dinner and drinks at Robertson Quay before heading "home". Hotel Re bears a retro style, with eye-popping colours right from the reception to the rooms. The location is nothing to rave about however, it's literally perched atop a mini hill near to Outram Park station. I guess if you're someone who doesn't mind walking, you could walk to some nearby cafes at Tiong Bahru. Don't confuse M Social with Studio M. While they're both hotels under the Millennium Hotels & Resorts group, the styles are drastically different. 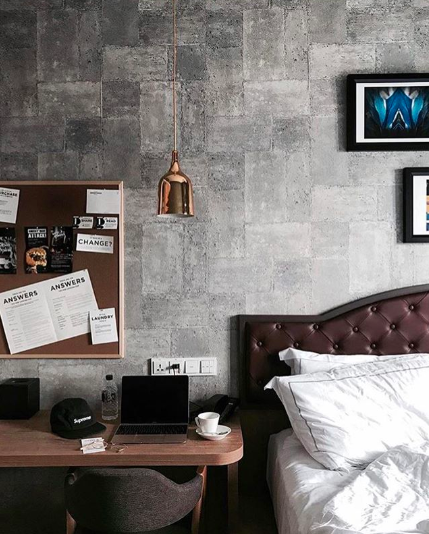 Unlike Studio M's bright ambience, M Social's style is eclectic and loud, while the interior of rooms are darker and more contemporary. There's an outdoor swimming pool, gym and free Wi-Fi. The Alcove Rooms in M Social have a beautiful roof design that feel homely and luxurious at the same time. Its location at Clarke Quay is also really convenient. If you have more budget, you can opt for their loft rooms, which look unsurprisingly similar to Studio M's loft, but with a darker, more elegant interior styling. 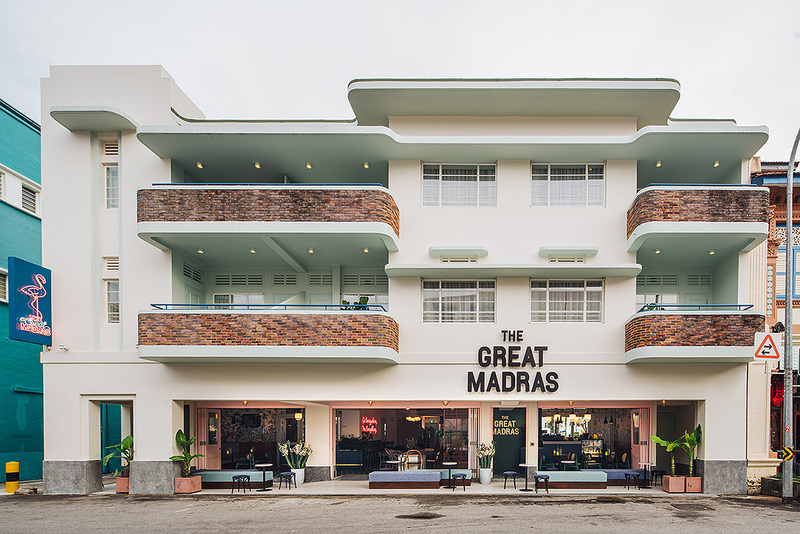 Although not part of any huge hotel chain, with its giant neon flamingo entrance sign, The Great Madras is instantly recognisable. The cheapest option is the Good Room, which is shockingly small at just 9sqm! And even still, a night at the Good Room will cost you $123. The hotel is, however, every basic millennial's Instagram dreamland. It's got rustic, vintage-inspired decor and neon signs lights at every turn. There's also a small pool for guests. The Sultan's Standard Double room is comparable to Arcadia's, but is slightly bigger at around 14 to 15sqm. It's also slightly more expensive at $124, but has no pool or gym facilities. 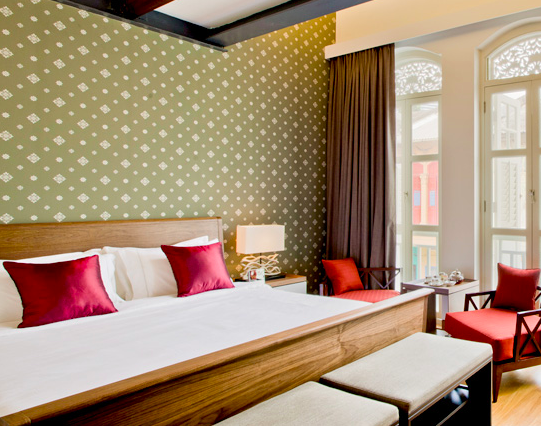 The boutique hotel is built along a heritage shophouse stretch in Kampong Glam, and the rooms are beautifully designed with wooden furnishings and long windows. Parc Sovereign's interior is as regal as the name sounds. Think: Dark wood, black interior, gold curtains, and elegant spotlights. Some negative reviews reveal that the soundproofing of the rooms are not really well done, so if you're a light sleeper, then steer clear. 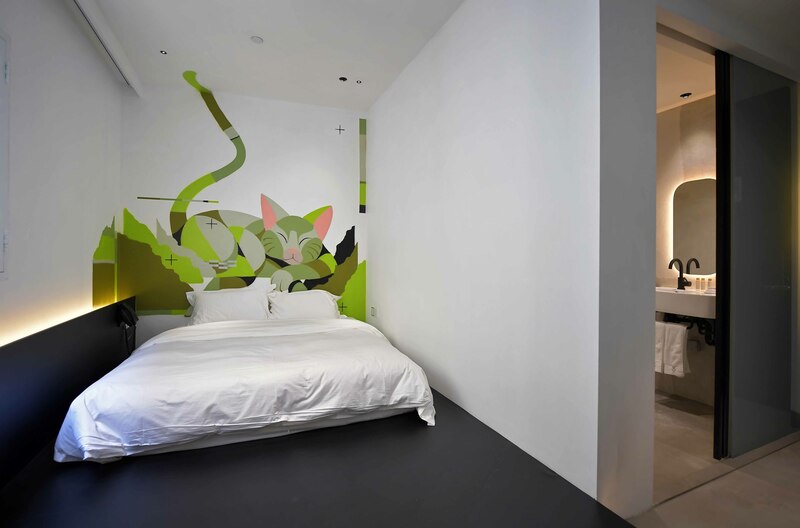 XY Hotel Bugis is a quirky boutique hotel with artsy walls and cool furniture. It's $137 for a superior room, but if you want to stay in one of the themed rooms, it's around $170. They have a beer room, and even one with cat decorations - a fluffy dream come true for cat ladies like myself. There's a small pool in the hotel, and you can rent Instagram-worthy unicorn floats at $20/day. Another cool feature is the handy phone that they have - aside from free calls and internet, it doubles as a remote control for the lights, curtains and air-conditioning. While the lights and curtains are sensor activated, you can actually switch on the air-conditioning to cool the room while you're outside. 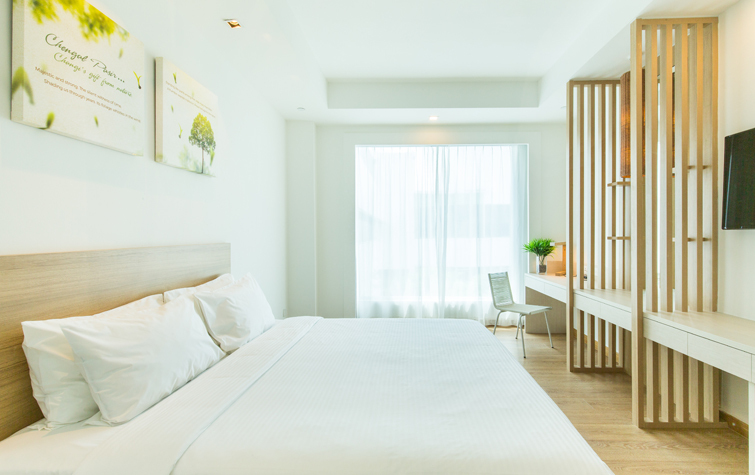 If you're a culture buff, you'll love Hotel Mono: It's built at the restored shophouses near Chinatown MRT, and is steeped in history. The place retains its rustic charm with the iconic air wells and Rococo-era windows. $137 will get you a Double Room that's 15sqm. It's also near popular drinking spots like Clarke Quay and Ann Siang Hill. 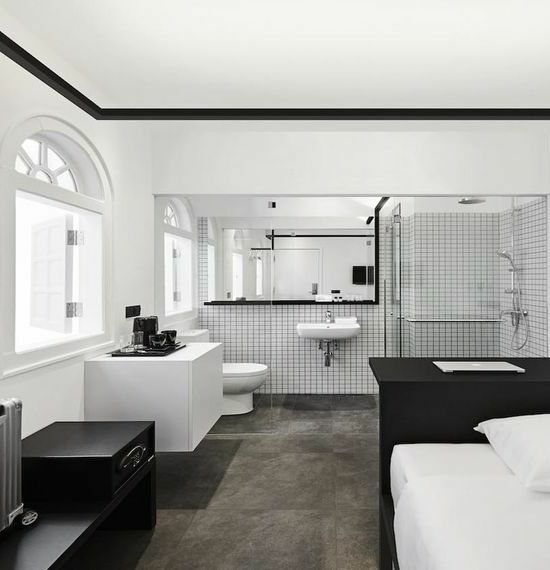 The rooms are, of course, monochrome-themed. 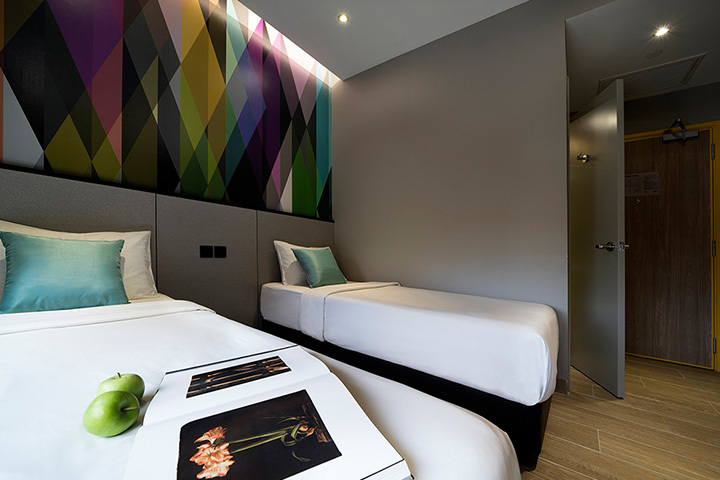 Hotel Mi is a newly opened - Oct 2017 - modern hotel in the heart of Bencoolen street. It offers quite a bit for its $140 price tag, with a decent pool and fitness gym. Although more targeted at tourists, each room comes with a handy phone that you can bring out with you for free 4G internet access and local calls. It's got a yellow honeycomb-inspired theme, which screams "young and energetic" more than "classy and romantic". 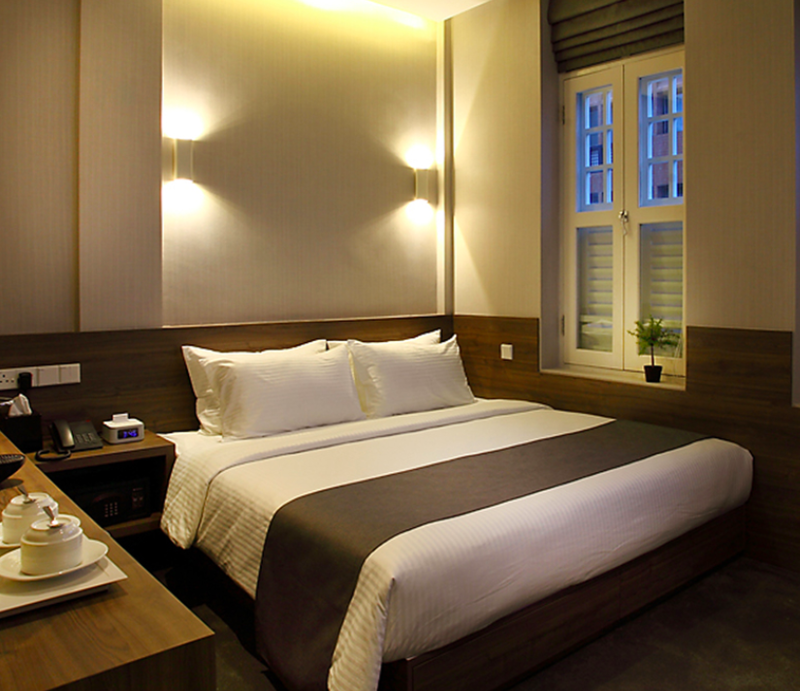 This heritage hotel is housed in a shophouse, with an ivory white exterior. The reception and cafe areas are pretty small, but if you're intending to hole up and watch Netflix anyway, then it shouldn't matter. Carry on and enjoy the vintage room facilities! 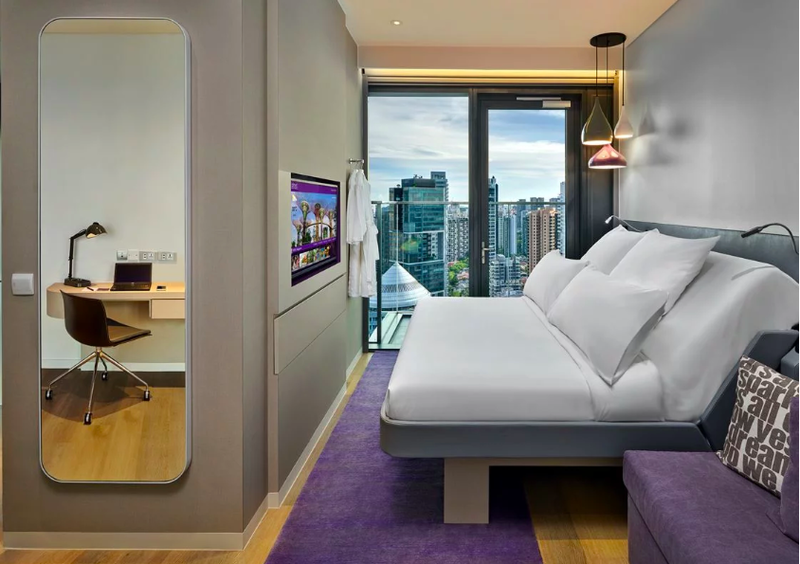 YOTEL is a modern hotel with rooms that are styled after airplane cabins - think simple furniture and high ceilings. You can also self-check in into your rooms via the kiosks - another airport-inspired feature. If you have a soft spot for Orchard Road, this hotel is for you. Additionally, there's a nice pool and a 24h gym in the complex. All of Hotel G's rooms start with a G: Good, Great and Greater. The most basic one is Good, which is at the $144 price range. It's a bit of a squeeze at 11 to 13 sqm, but that's to be expected of most of the hotels this affordable. It's right smack on Middle Road - try not to laugh at your poor colleagues who are still at work - and houses a vintage-inspired gym. This one, we find, is particularly great for families who live in the east. And we mean FAR EAST. While it's in a far flung location, Capri by Fraser is new and right next to Changi City Point. So while you rest and recuperate, you can still get your dose of outlet shopping and amazing food.